Here is a shot of the delivery of our new baby. 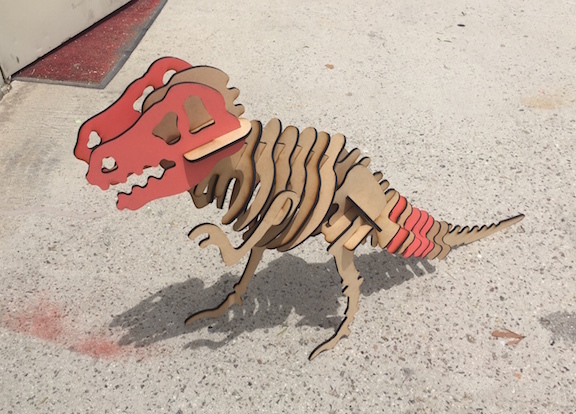 It’s a laser engraver, laser etcher, laser cutter…oh yeah! Today, we created a press release for the upcoming Open House/Demo events. They are on Tuesday, 5/19 from 3:00-5:00 PM and Thursday 5/21 from 5:00-7:00 PM. Food and beverage will be provided, maybe some vino on Thursday. If your in the San Diego/El Cajon area come watch, learn and leave with a free gift! Just let us know so we get enough crab. I mean crackers. 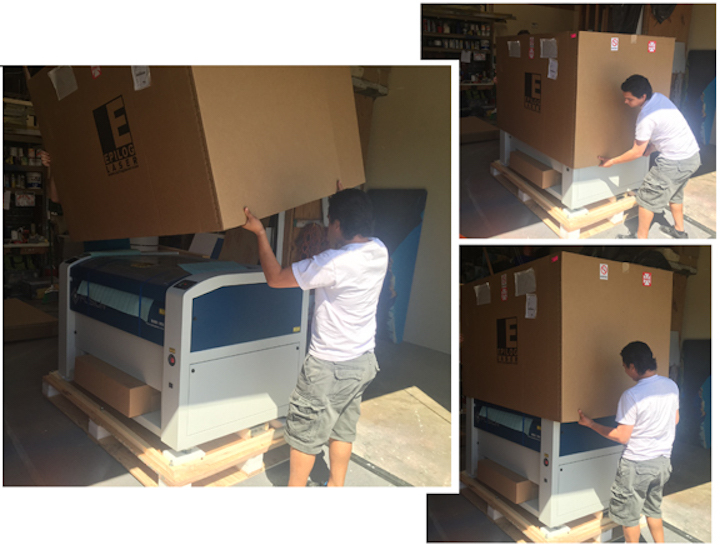 Our new laser engraver cutter being unboxed! Wall of Fame Channel Letters! We just finished a couple of aluminum channel letter jobs and are adding them to our wall of fame. 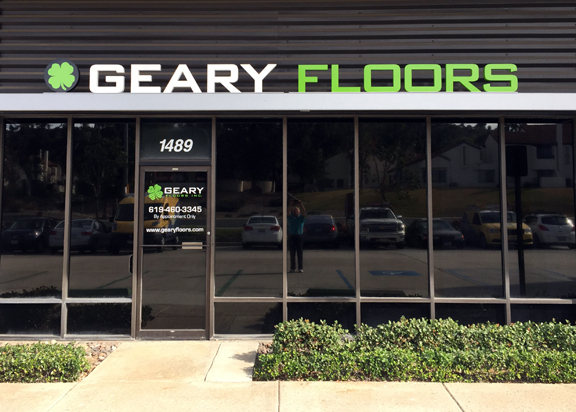 Thank you to Geary Floors and Milholland Electric! 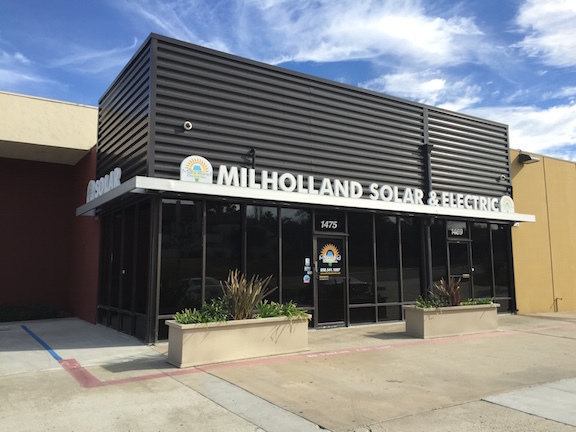 They turned out great and your businesses are much easier to find with your new signs. If you want more business visibility, give us a call! Or check out our online store here! Channel letters provide great visibility!